When 50 people praying in a New Zealand mosque were gunned down and killed by a white supremacist, the world asked: How could this happen? As a Muslim-American — and as a media professional — the news made me deeply sad, but the answer to that question came quite easy. Islamophobia has been mainstreamed for most of my life, since 2001. While right-wing extremists are the most apparent present danger, it’s the perfectly mainstream fear mongering and dehumanization of Muslims that threatens to let these tragedies keep happening. The night before he livestreamed his massacre on social media, the New Zealand gunman posted an Islamophobic, anti-immigrant, white nationalist manifesto online. Many well-meaning people are saying we shouldn’t share anything from it now, for fear of spreading his hateful ideas. It’s sentiments like these that make people feel OK about a Muslim ban on countries that have produced precisely zero terrorist attacks in the United States, while they’re flabbergasted that such a white supremacist attack could take place in Christchurch. And then there is David Frum, another “never-Trump” Republican, who wrote an 8,000-word cover story for justifying immigration restrictions because some white people in the United States have reported feeling “like a stranger in their own country” — as though the goal of public policy should be to validate white racism. And yet we’re shocked that an Australian senator blamed the New Zealand mosque shooting on Muslim immigrants. Meanwhile, CNN — one of America’s top news networks — hired Sarah Isgur Flores to lead their 2020 political coverage. Flores, a former spokeswoman for the Trump Justice Department, defended the Muslim ban and attempted to link terrorism to immigration. It’s not just the right or the center. The liberal-leaning Bill Maher frequently spews Islamophobic rhetoric. He’s asserted that “the Muslim world has too much in common with ISIS” and compared Islam to the Mafia — it “will kill you if you say the wrong thing.” Maher allows liberals to feel justified in attacking Muslims, too. Even “news” coverage paints a sensationalistic, menacing portrait of Muslims. Though a recent study showed that virtually single terrorist attack in the United States last year was committed by right-wing extremists, other research last year showed that attacks get 357 percent more coverage when the perpetrator professes to be a Muslim. The result isn’t just hate crimes, which have been climbing for several years now — it’s a foreign policy that’s been geared toward war in the Muslim world for nearly two decades. This transpartisan, mainstream dehumanization of Muslim and Arab populations allows the U.S. foreign policy of bombing the Middle East to carry on without so much as a blink from anyone now sending their thoughts and prayers to the New Zealand victims. 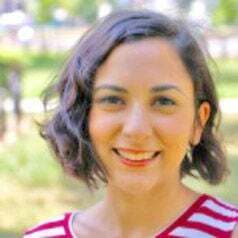 Domenica Ghanem is the media manager at the Institute for Policy Studies. She wrote this for InsideSources.com.